There are many different types of media for sowing tomato seeds and it can be great fun trying and comparing them to see which ones work best for you. Seed compost is very good but it does have the disadvantage of being messy and heavy to carry home from the garden center! Here are some alternatives to sowing seed compost for sowing tomato seeds. A popular method, used by many gardeners is the Jiffy Pellet which is available in peat or coir. Coir is coconut shell and is a very good alternative. Before and after hydrating – great fun! 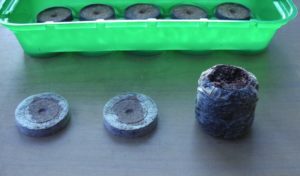 Another great way to germinate tomato seeds is by using sponges. 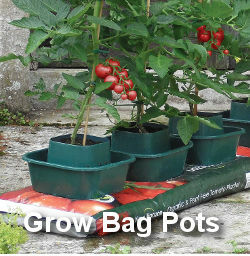 These are biodegradable and hold plenty of air and moisture for good root growth. You’ll need to use a seedling feed such as Root It First Feed, because unlike Jiffy pellets, sponges don’t contain nutrients. Sponges produce excellent results as you can see from the seedlings below. They come in trays and propagators as well as loose. In the photo above, you can see the progress of each seedling in the various media. 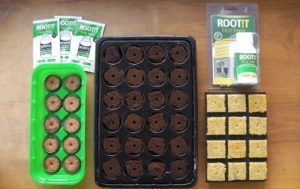 The Rockwool and Sponge require additional seedling feed. However, the Jiffy already has seedling feed included. Each of these can be potted on, as they are, without disturbing their roots. These are very popular with hydroponic growers. Rinse them first in plain water, then add a seedling feed. 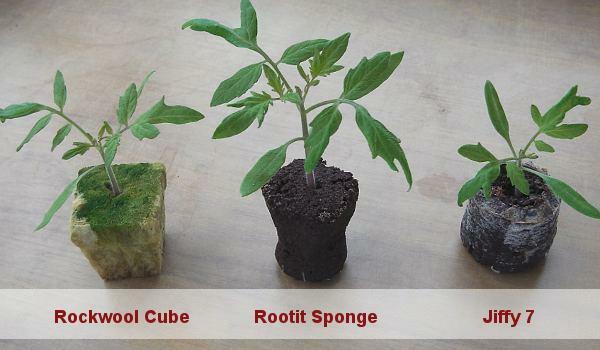 Rockwool Cubes – often used by professional growers. Rockwool holds water very well and has a good open texture for root growth. 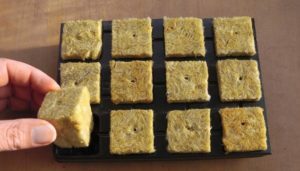 Get Rockwool Propagation Cubes here. It is possible to sow directly into either of these, but they can be a bit messy like soil and are difficult when it comes to transplanting and potting on. 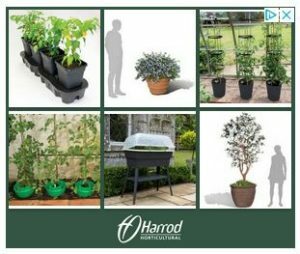 When it comes to alternative media for sowing tomato seeds, each of the above will produce very good results and they have the advantage of being less messy and a lot easier to carry than a bag of seed compost. 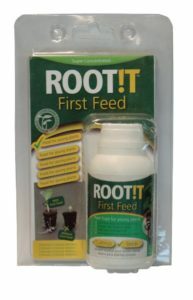 Don’t forget the Rootit First Feed for your seedlings if growing in Sponges and Rockwool.